I finally found a cat wine that i want to review! At least I think Château Hauchat loosely translates as “House of the Frisky Cat” or “High Cat” or “Top Cat”. Also, the most likely explanation is that i have no idea what the word “hauchat” means. Etymology notwithstanding [cool I’ve never typed that word before], this is a $16 wine that tasted like $30. 100% Merlot [which if i do the math correctly is all of it] and aged 15 months in barrels, Hugh Johnson describes it as “medium-powered, more juicy than meaty, with fresh acidity and a tannic nip”. I can’t argue with Hugh, partly because i know all those words but have never heard them used together in a sentence before. Also, he ends his descriptors with the word “nip” which makes me think of catnip which is enough rationalization to me for calling it a cat wine. 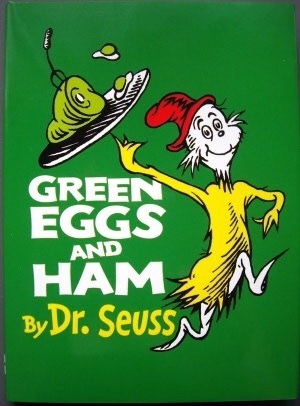 Do you know that Dr Suess’ classic Green Eggs and Ham is all about trying new stuff? I didn’t really know his books had a point to them [10 Apples Up On Top baffles me and i can already juggle!] but i’m starting to revisit these classsics in an attempt to answer many metaphysical questions of our world. We should try new stuff. I recently purchased a bottle of hot banana peppers and now keep it in my fridge. I was inspired by the Harveys employee [also a student at my school] who asked me if i wanted banana peppers on my veggie burger. Kids know stuff. It was delicious. I’m pleased to see that the LCBO is trying new stuff. 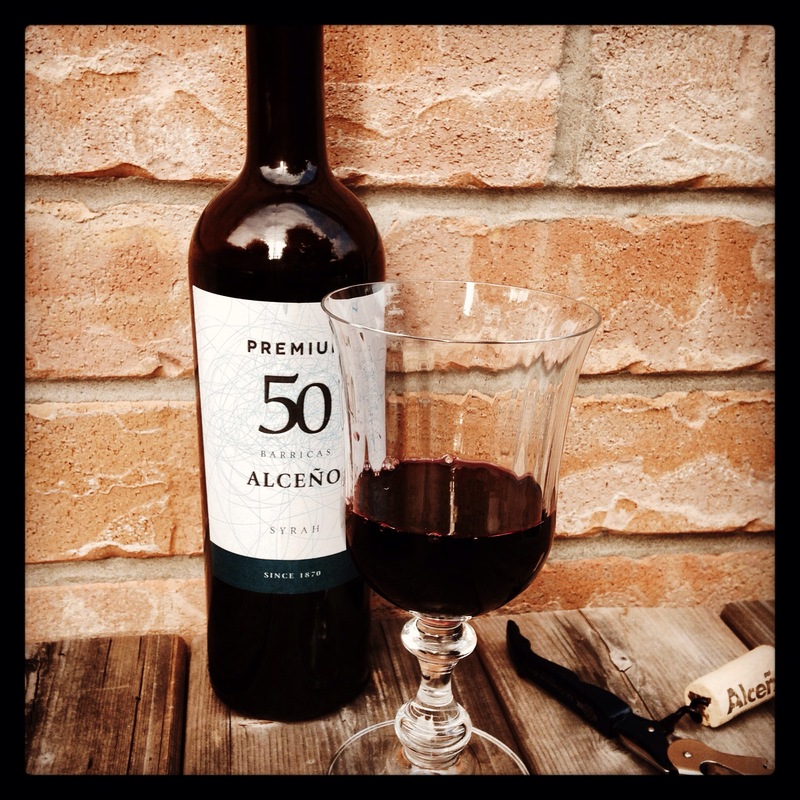 Recently i purchased a Syrah from the region of Jumilla in Spain. Honestly, i didn’t even know Jumilla exported any Syrah. I guess i’m not surprised that they grow it – Jumilla is basically Spain’s answer to the Cotes du Rhone – but it seemed daring of the LCBO. Usually we import Spanish Rioja, Ribero del Duero, and then get crazy with a Monastrell or two. But I applaud somebody’s daring Dr Suessical approach to buying wine last month. I guess it doesn’t hurt that Luis Gutierrez, from erobertparker.com rated it a 92. Well done Luis G! Thanks for convincing somebody at the LCBO to try Green Eggs and Ham. I drank it in a glass, with a spouse, beside a daughter, in the rain, with a goat, and on a train [except for the rain and goat and train]. Also, I realize the irony, writing about green eggs and ham and promoted the Veggie burger at Harveys [best veggie burger around]. Maybe green eggs and ham will inspire you to try their veggie burger next time and give a cow a break. It’s time to panic. It seems to me that nobody has taken notice of the fact that the upcoming year of 2010 is actually more binary than the year 2000. I’m concerned that everybody is ignoring this potential Armageddon. Dust off your Y2K generator and fill up your basement shelter with canned goods and bottled water. Its Y210K people and it’s scary! If I am right, and I’m pretty sure that I am, I need to get a small collection of wines to see me through this event. This will hold me over until Al Gore gets everything fixed (did he really win a Nobel Prize or did I imagine that?). 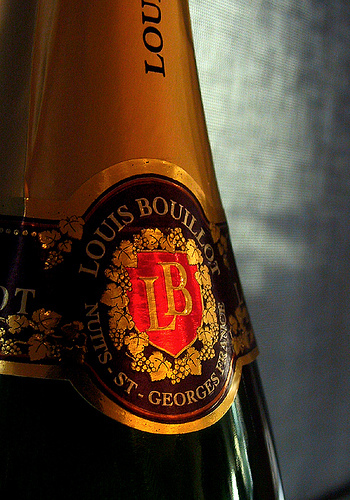 Don’t just go out and get some wine – buy it by the case – buy it in a state of panic, it’s Y210K! Actually, buy it by the half case so that you have more variety to drink during this crisis. 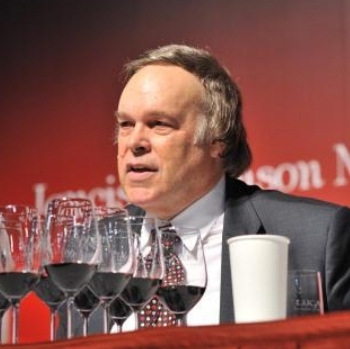 Premium Red – Inniskillin’s 2007 Reserve Series Cabernet Franc and was rated 90 by Natalie MacLean. It would be great with or without canned food. Value Red- Jackson-Triggs 2007 Proprietors’ Reserve Cabernet Franc / Cabernet Sauvignon (LCBO 560680 $12.95) is a great deal and a great wine. I featured it at Red Brick Cafe in September to rave reviews. That reminds me to put several bags of coffee in my bunker. Also, both of these wineries are also located within a short distance of Guelph so I can bike there to get some more if I need to. Premium White – Errazuriz Aconcagua Costa Single Vineyard Sauvignon Blanc (Vintages 135426 $15.95). Value White – had the Errazuriz Sauvignon Blanc on the LCBO list at a party last night and loved it. It is a little light but brave enough for times like this. Times like these demand planning – don’t get caught without good wine for the end times.